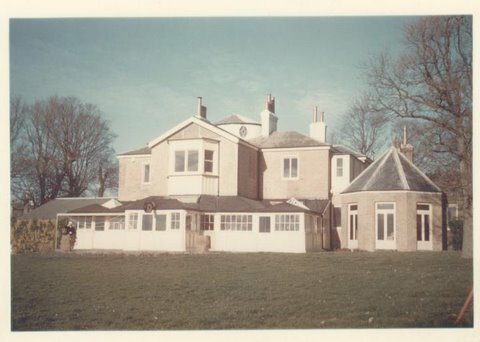 The Littlewood-Clarke family occupied the house before the war. As far as I am aware the “living room” in the photos taken at the unveiling of the Blue Plaque, was constructed much later than S. William Garrow’s time. I was always told it was the Billiard room, by Mr Littlewood-Clarkes chauffeur, who lived in the cottage. There was one very small attic bedroom, so perhaps staff never permanently lived in the house. The wall around the property was raised to stop trippers in horse breaks peering into the gardens. There were tunnels from the old (now filled in) cellars at the S.W. corner of the house, which join the ones from the rear of Pegwell Cottage and go down to the seashore. No doubt very dangerous now. Re: the construction of the main house, we have many uses of Mathematical Tiles in the Chichester area, they were an early form of a cavity wall, especially in exposed areas. KIDDS PICTURESQUE COMPANION TO MARGATE 1831 BY G.W. BONNER. Previous PostPrevious Third Series of Garrow’s Law Rumoured..